Mr. McMurray, a 51 year veteran of the aviation industry, served honorably in the United States Air Force from 1965 to 1969. His many industry accomplishments include his FAA Airframe & Powerplant ratings with Inspection Authorization; and positions as an FAA Aviation Safety Counselor, an FAA Designated Airworthiness Representative, and an Aviation Maintenance Instructor for Ivy Tech Community College. 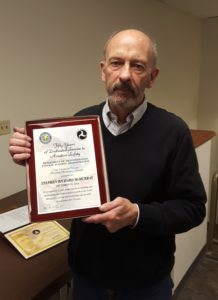 During his career, Steve has worked on military, corporate and general aviation aircraft and has held several Director of Maintenance roles in both FAA Part 145 Repair Stations and FAA Part 135 Charter Operations.